For Fridays in the month of February, Andrew and I are going to answer a question. Each of us will write a post about our marriage and share it with one another online . . . at 5:00 pm on Friday. We will not see one another’s post until it has been posted for the world to see. This week’s question: What is one of your funniest Sharpteam memories? One of my funniest memories in our marriage happened in our bedroom (the bedroom pictured above is not our bedroom. Andrew dreams actively. I can tell when he is running in his dreams. Because he was a soccer player he at times kicks in his dreams. One night he awoke me, I rolled over and looked at him. He smiled at me. Then he leaned forward as if he had something mighty important to tell me and said . . . “boop!” He lay back down and went back to sleep. It was so funny to me . . . and he was not there to share in it with me. 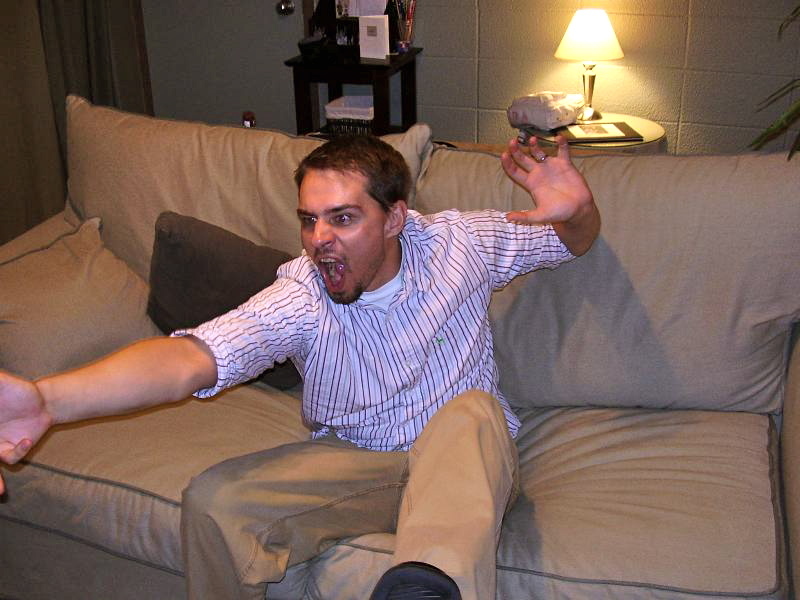 Some of the funniest times we have shared have been playing games. My husband is a wonderful game player. He is really good at games, but he doesn’t need to win. He is competitive but he is more kind than he is competitive. Games with Andrew are fun and funny. I almost posted a video of our first game of Quelf . . . the game that makes us laugh the most. But I spared him. 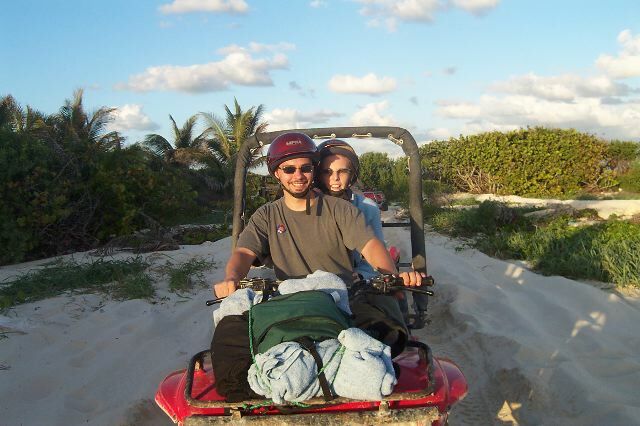 And one of the most fun times I had with Andrew was four wheeling in Cozumel, so I thought I would just post that picture as well. This is a man that keeps me laughing and smiling. I am grateful.